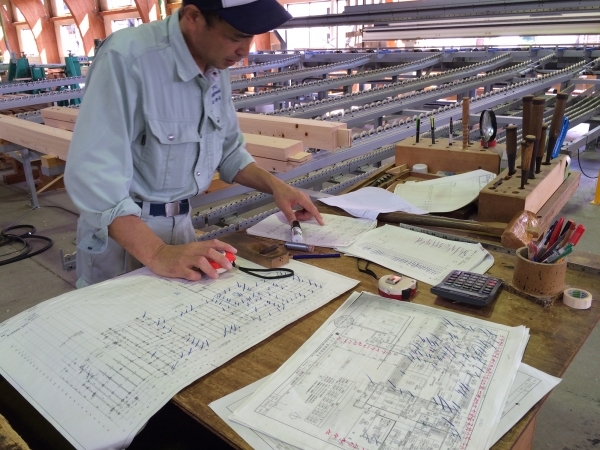 Nakashima Construction Co. is a general contractor that offers such comprehensive services as civil engineering, architecture, house building, and shrine & temple building. 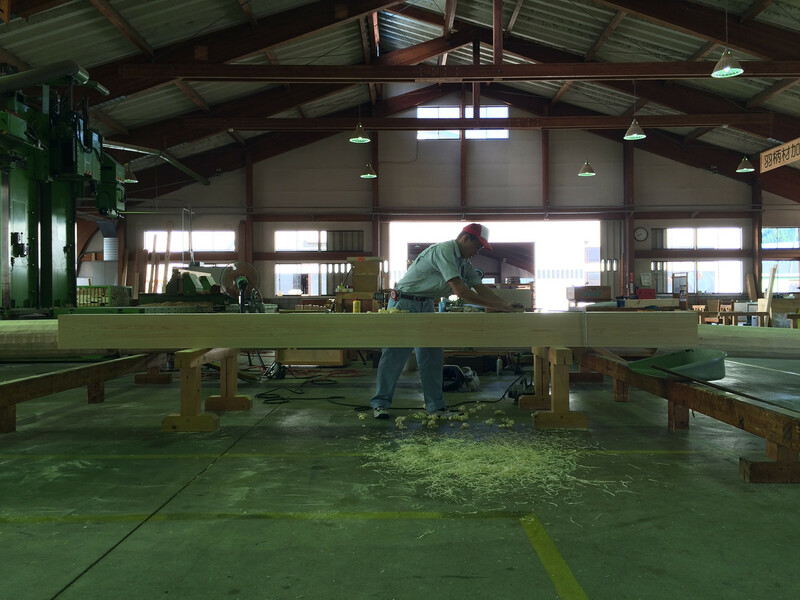 It also runs a sand-processing plant, a concrete plant, iron works, a wood-precutting factory, and others. 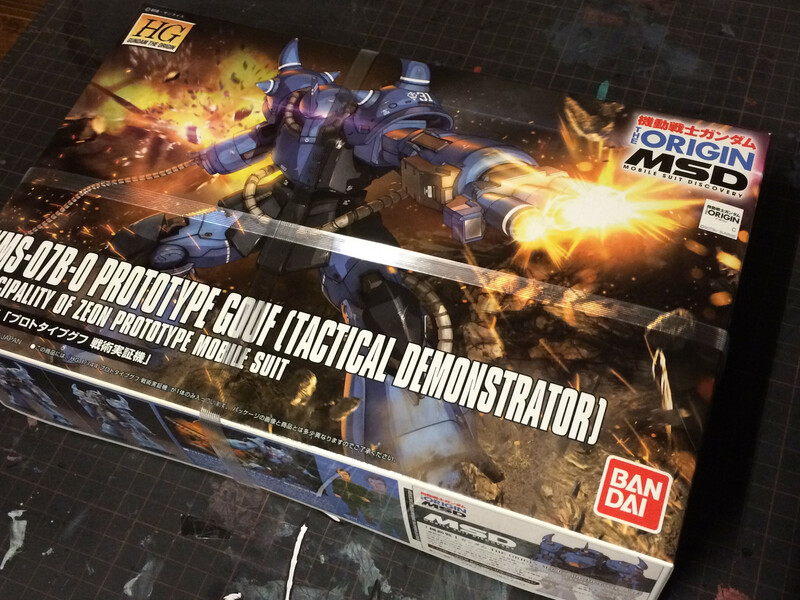 It employs approximately 230 employees and has annual sales of approximately 7 billion yen. It is a large part of economy in Kashimo. 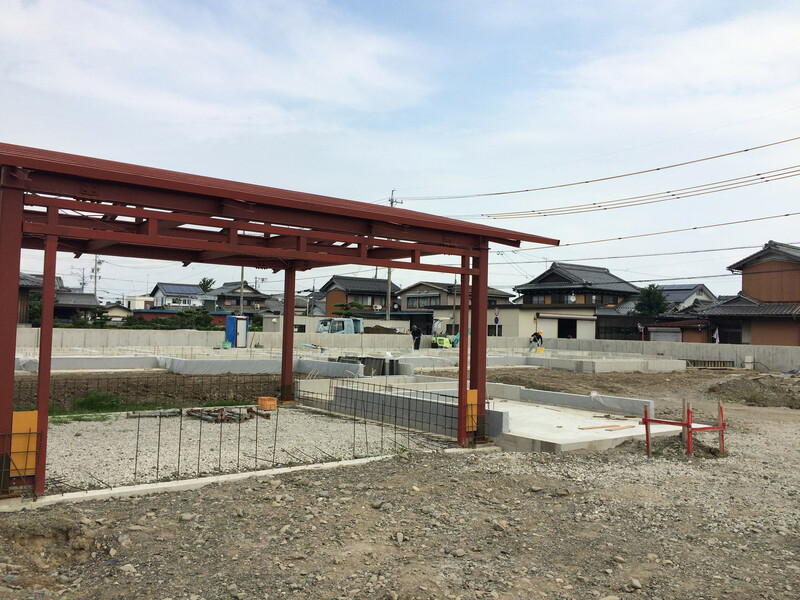 Kashimo is the hometown of Nakashima Construction Co., a small town located in the northern part of Nakatsugawa City, Gifu Prefecture, with a population of approximately 3,000. 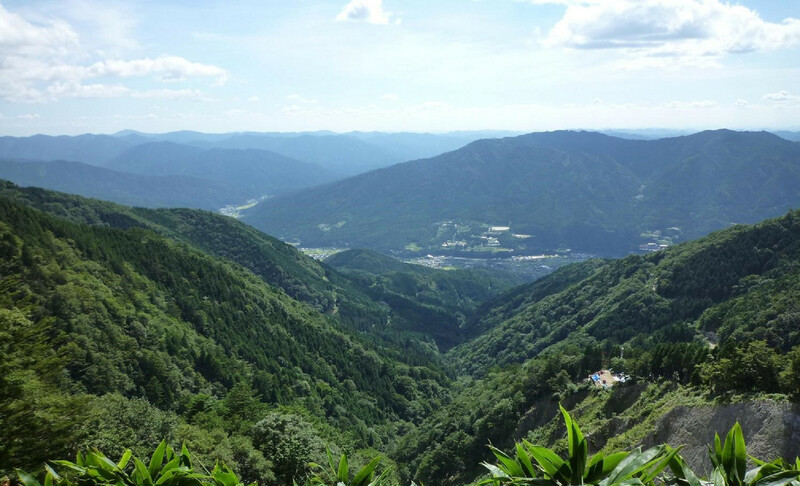 93% of its 115-square-meter land is covered with forests, and the general populace own parts of the forests. 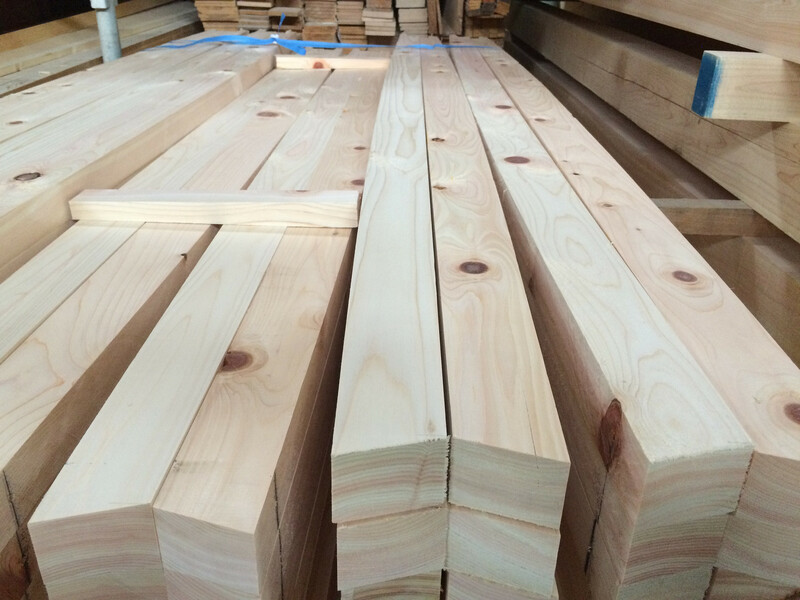 It is also famous for its cypress trees. 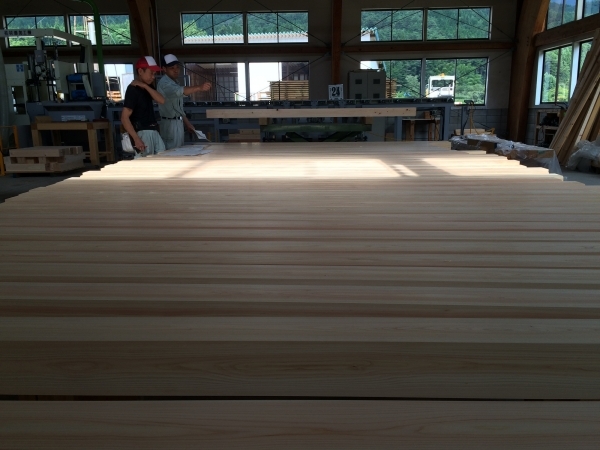 Naturally grown forests of Kiso Cypress are still preserved and have become the symbol of the forests and forestry. The woods in the forests are preserved for the reconstructions of Ise Shrine, which occurs every 20 years. 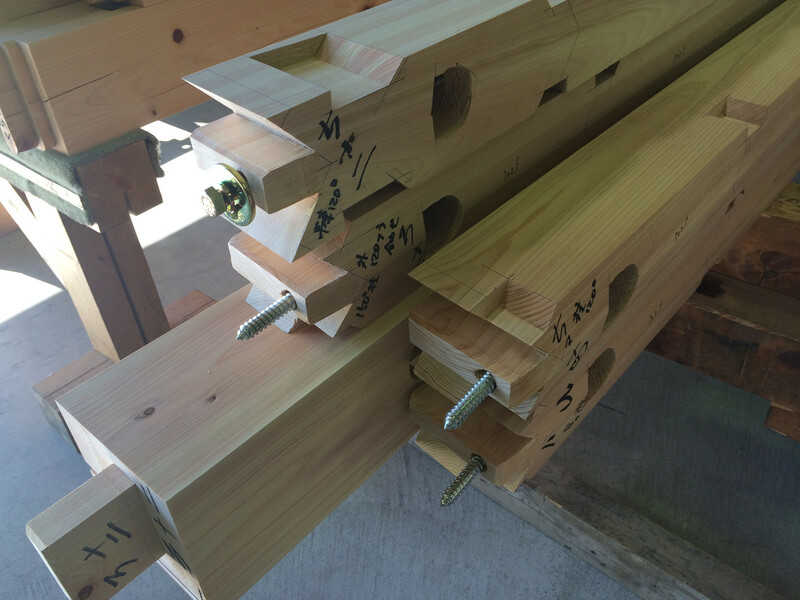 Records show that Kiso Cypress was used for other historical castles and shrines in Japan. 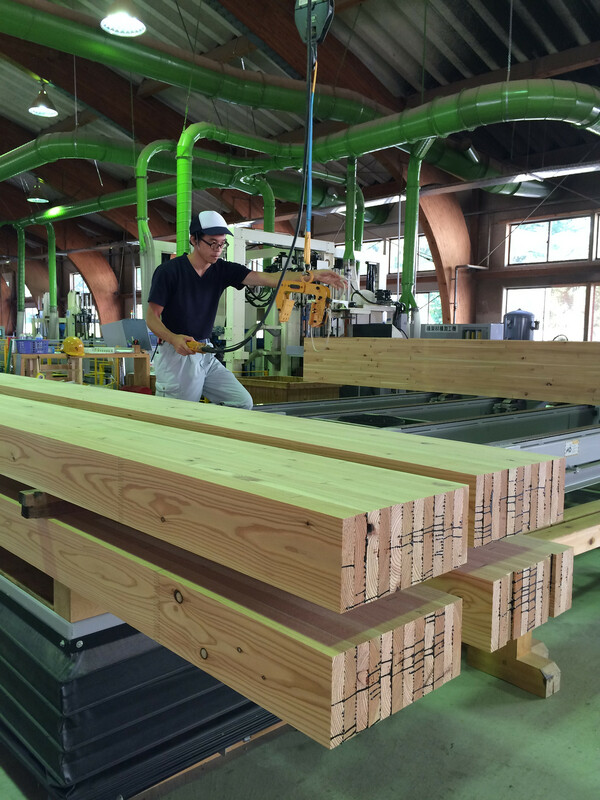 Also, Tono Cypress, which was planted artificially, is a nationally famous building material known for its quality. In Kashimo, we have been striving to perfect “self-contained forestry,” or Kanketsugata Ringyo. 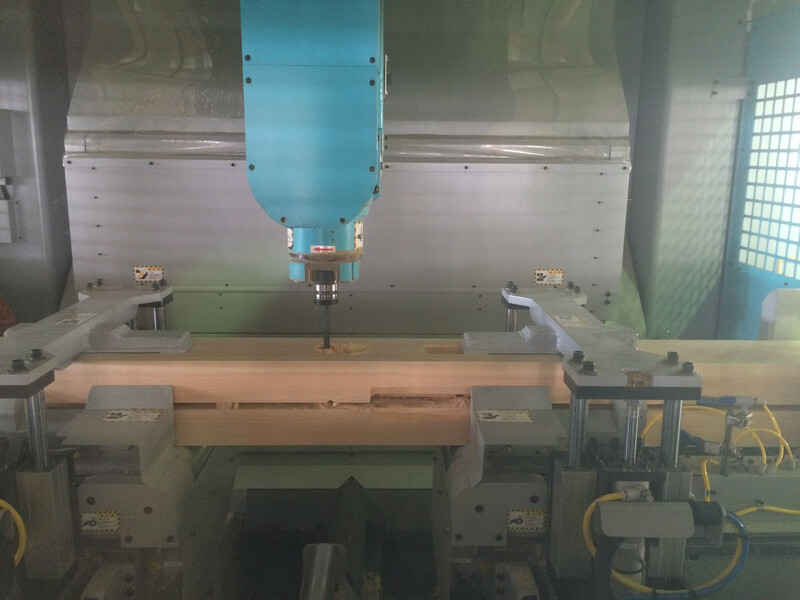 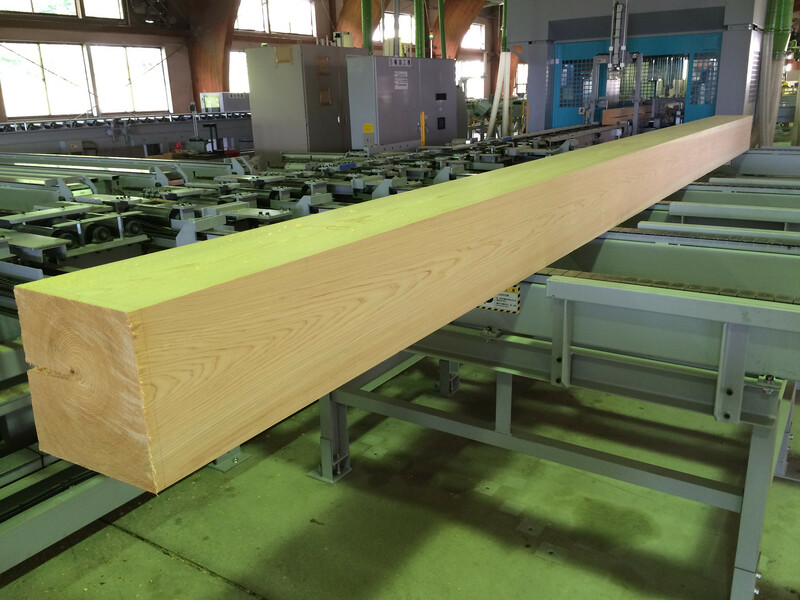 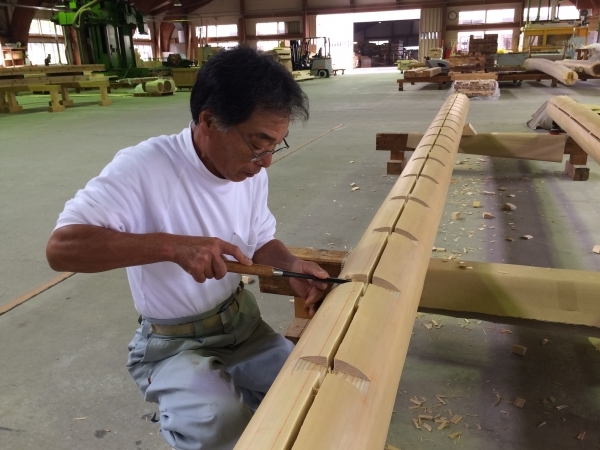 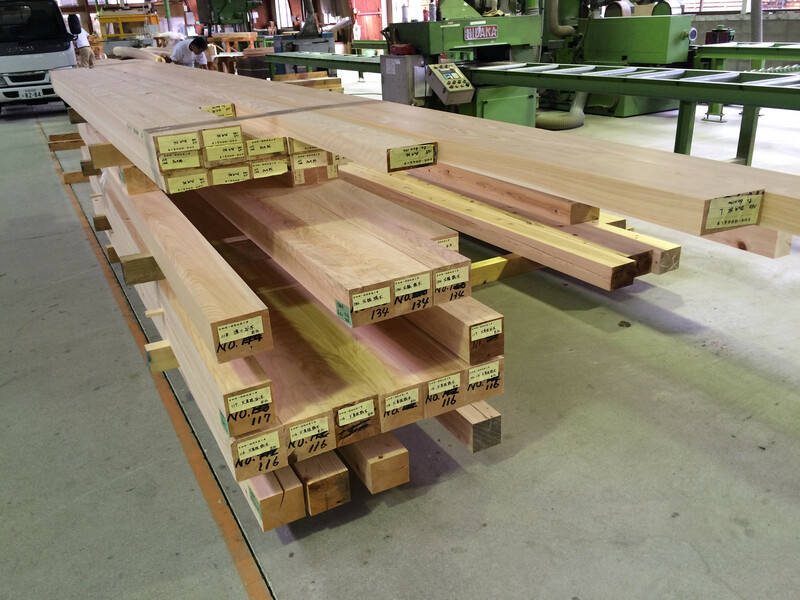 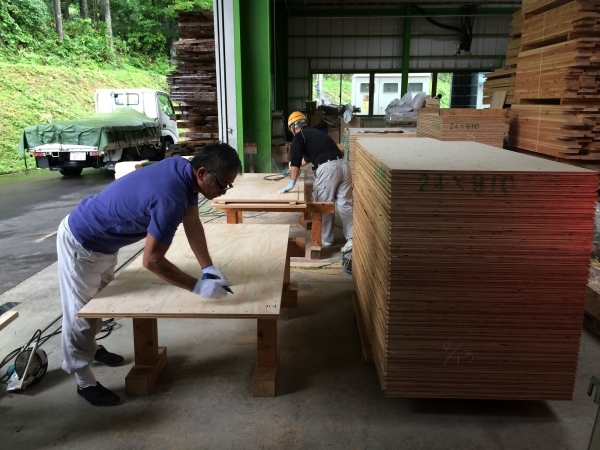 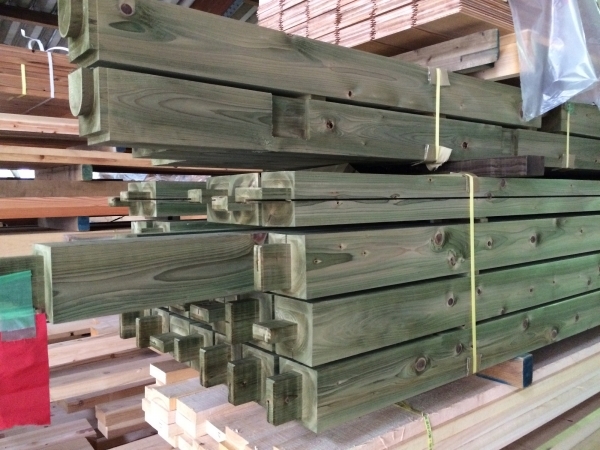 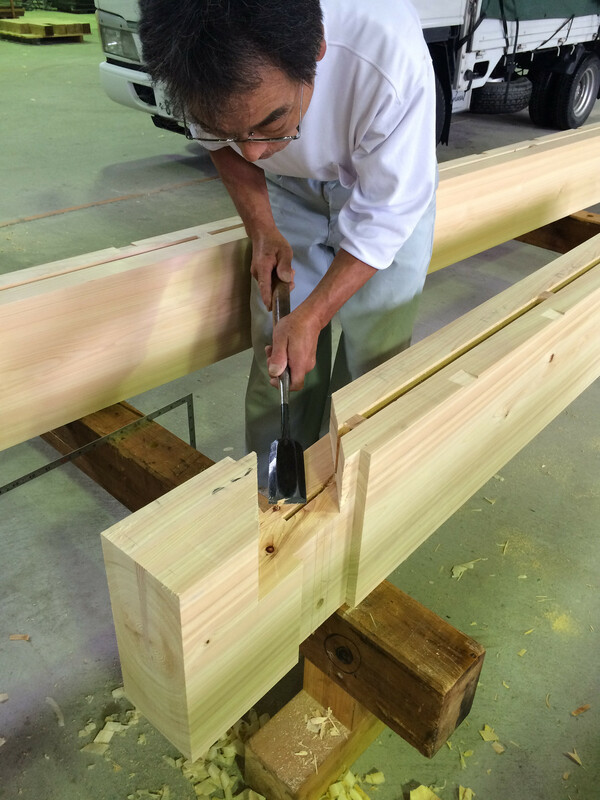 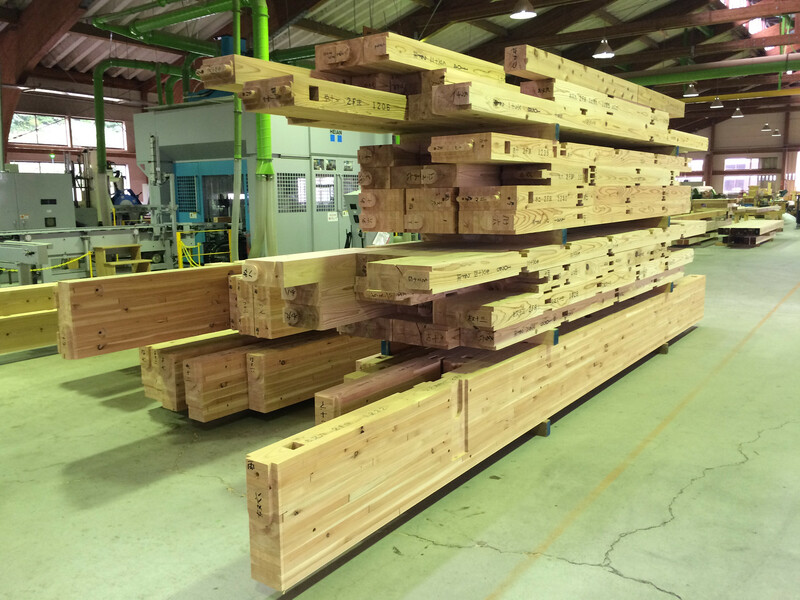 Kashimo Forestry Association (KFA) takes charge of forestry and bidding; sawmills purchase logs and process timbers; house builders design and construct houses; timber-processing factories shape building materials such as floorings and sidings. Almost an entire house can be built with locally grown woods and local staff. 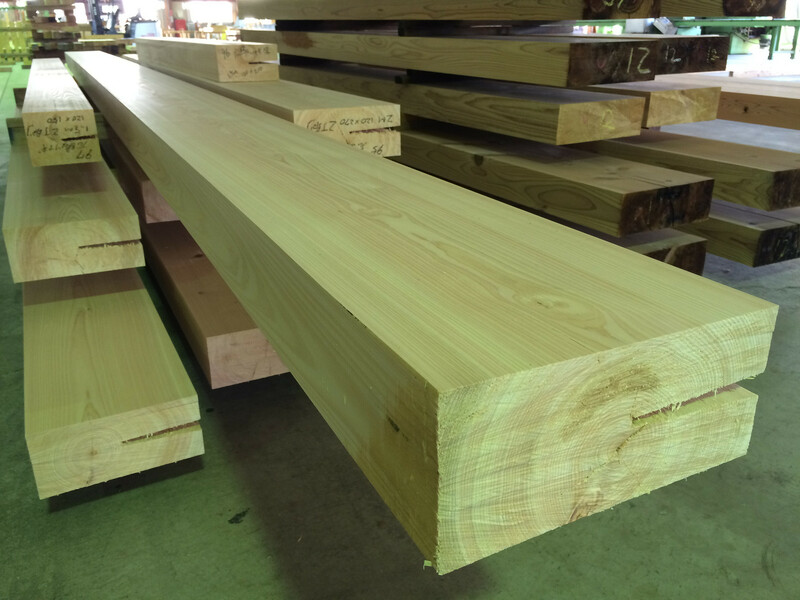 Although the size of the operation is localized, it IS a rare case of self-contained forestry, and we try to make it better. 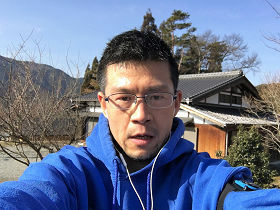 However, not everything is going right. The price of lumber has dropped to 1/3 of its price compared to prices 30 years ago. 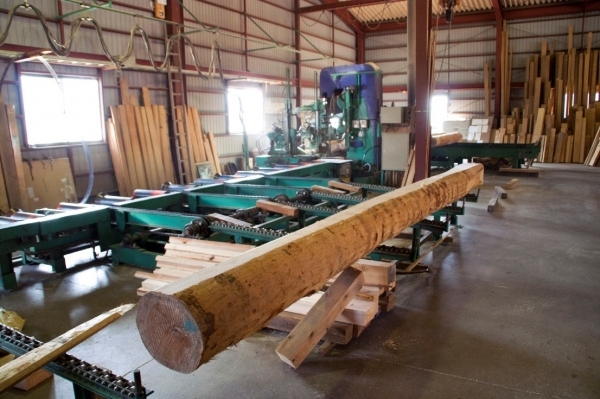 Forestry management has become more and more difficult, and forestry wouldn’t make much business sense if it were not for hefty subsidies. The forest owners ask KFA to assist in managing their forests, but the expenses often exceed the price of woods sold, which discourages the owners from taking care of their forests. 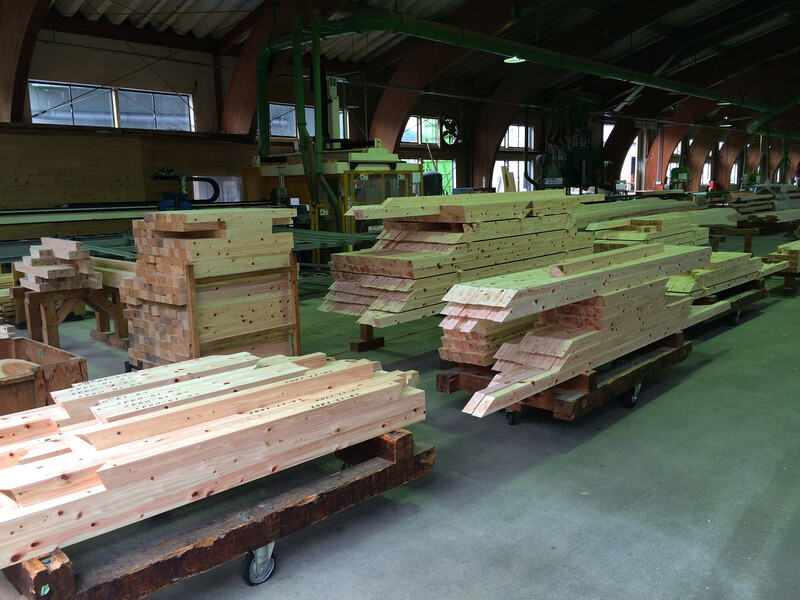 The situation of sawmills is similar. 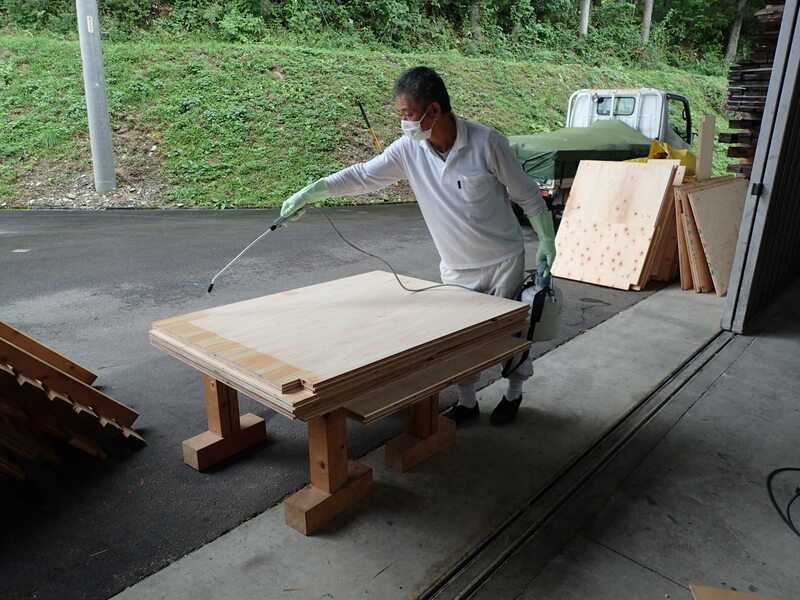 While there were 28 factories in Kashimo at its highest 30 years ago, the number has diminished to 14 remaining factories. There is a decreasing number of successors in the less promising industry. Moreover, more and more expenses are needed for wood drying and quality indication, which leaves the wood price to take up the slack. There has not yet been an effective solution. 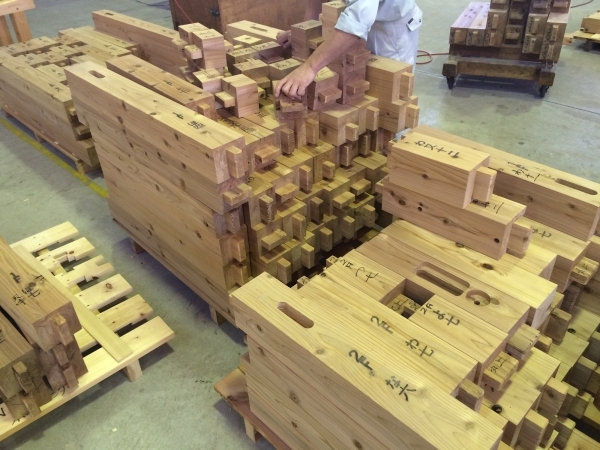 One of the important components of self-contained forestry is “direct-from-the-forest house.” Since the import liberalization of woods, foreign woods have grown in the demand over locally grown woods, which put Kashimo in jeopardy. The concerned village mayor helped combine builders and carpenters, and the local government encouraged them to gain ground in cities. 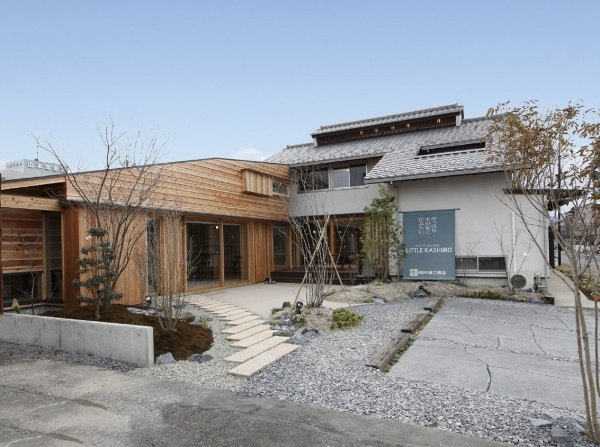 This project was later called “direct-from-the-forest house,” or Sanchoku Jutaku. 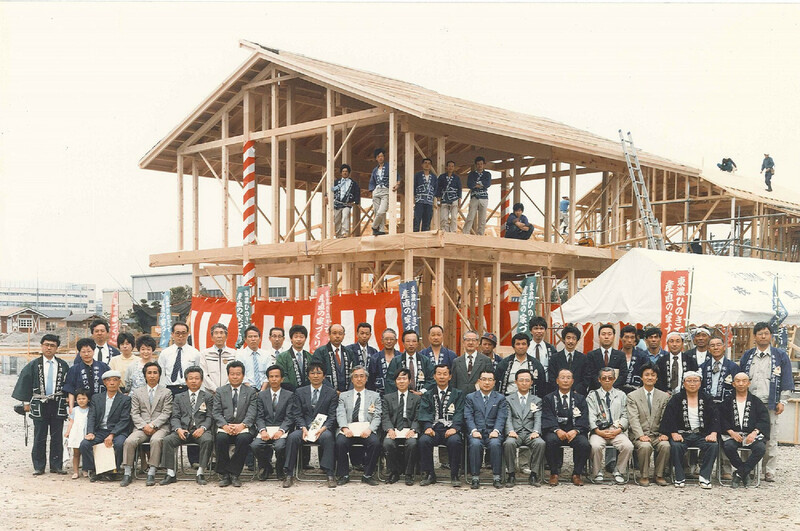 In the 1980’s, Kashimo Builders Association was established, in which Nakashima played a central role. In addition to Nagoya area, Nakashima set up branches in Tokyo and Kobe, and supplied houses with Kashimo-grown timbers and staff. 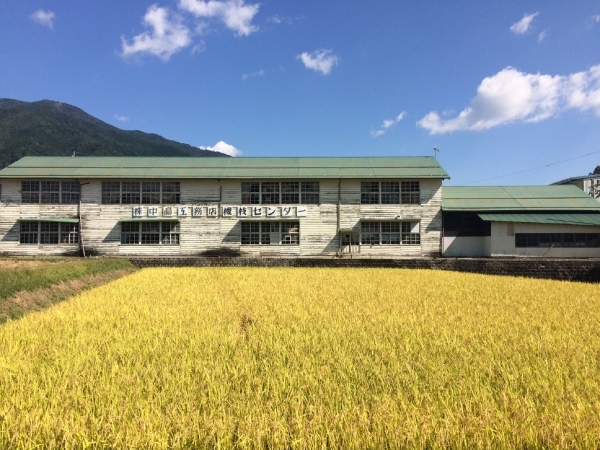 We have met many clients who appreciated our countryside spirits. 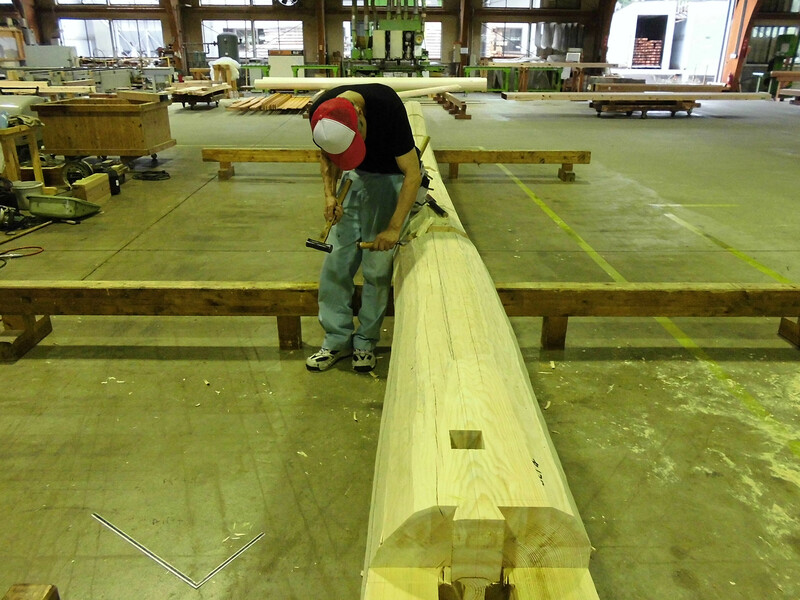 We were reckless when we started out. We did a lot of projects which didn’t make business sense. 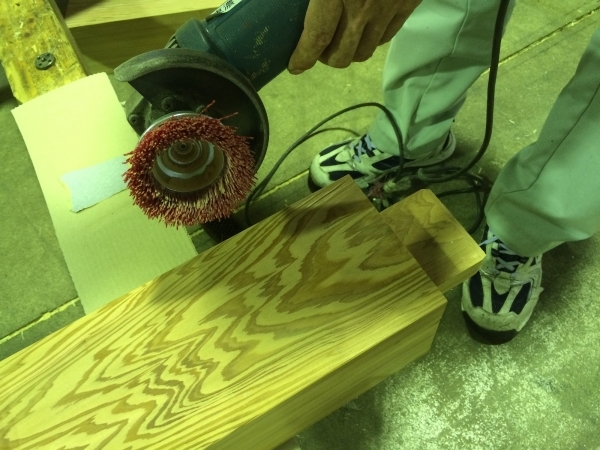 With low budget and inefficient time, we took on questionable jobs. 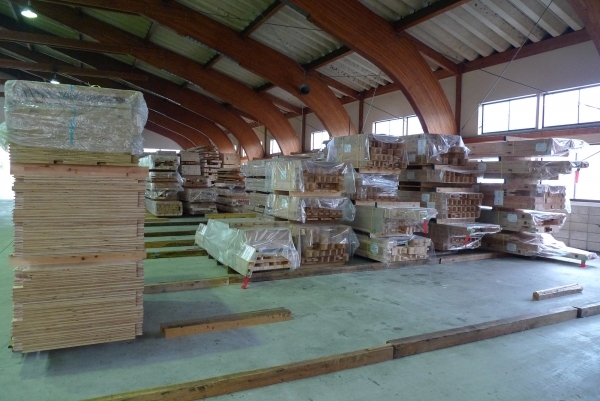 As we built more and more houses, we had to face various types of maintenance and fixing. 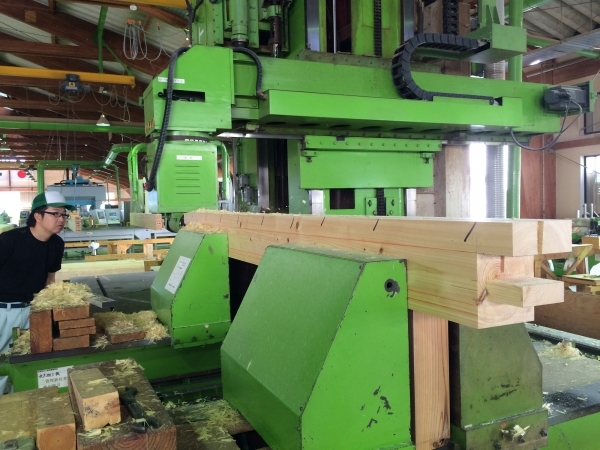 The cycle of house building has allowed us to understand the essential quality and complexity of architecture, and as a company we developed a better understanding of house building. As a result, we have realized that it is eventually the house-owners' benefit for house builders to design houses as well as construct them. 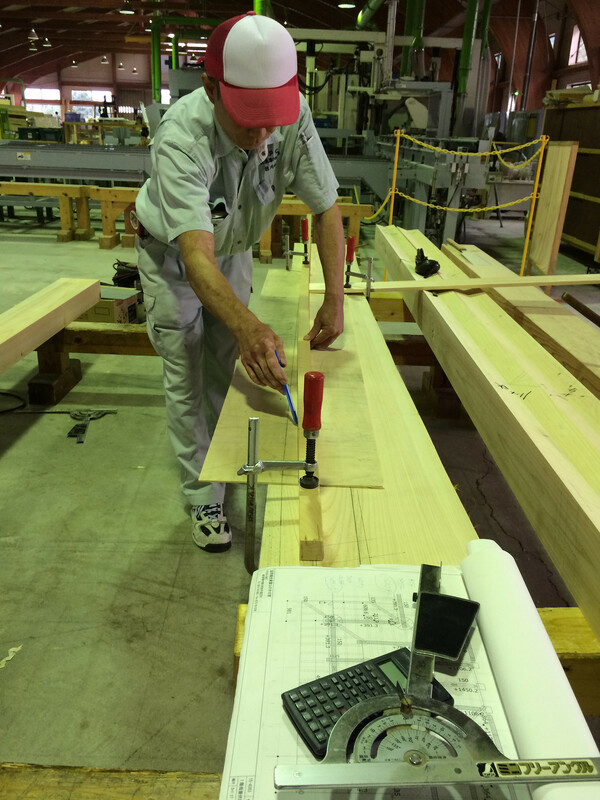 While this is an ongoing process, we strive to learn in order to become better. 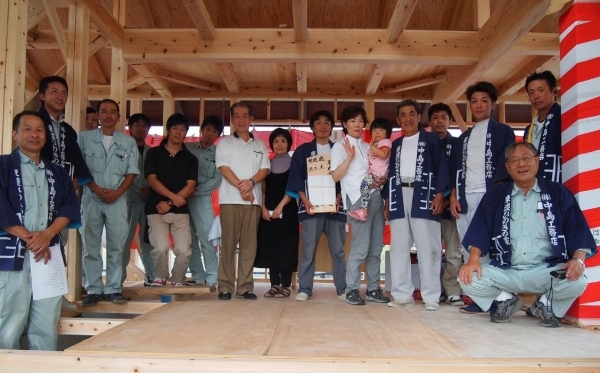 It is the local builders’ responsibility to make use of local materials. By using locally grown woods, we can pay back the forest owners, who can in return spend on further care of their forests. 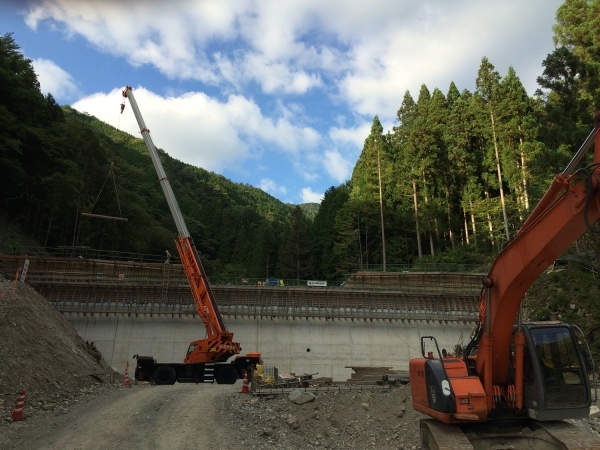 It is a first step to prevent mudslide and river flooding which occur very frequently. 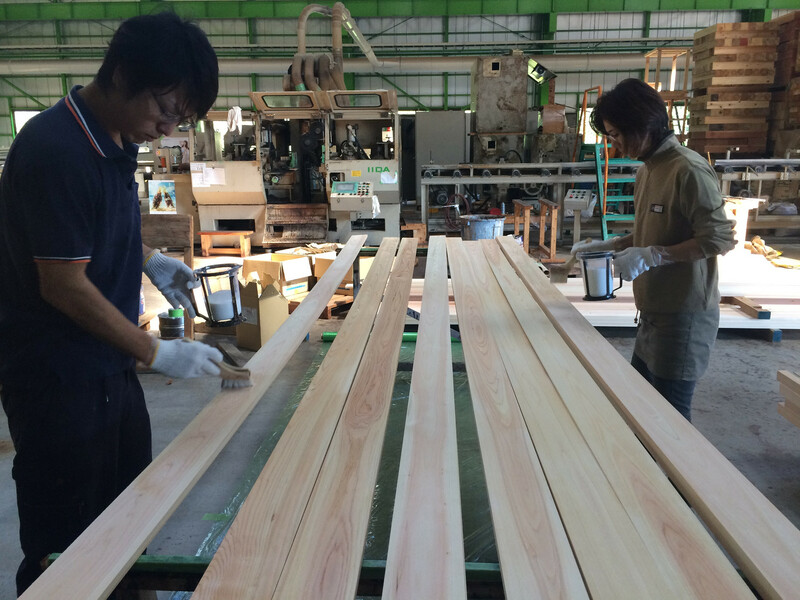 Also, stabilization of local employment in Kashimo enables the youth to come back home. 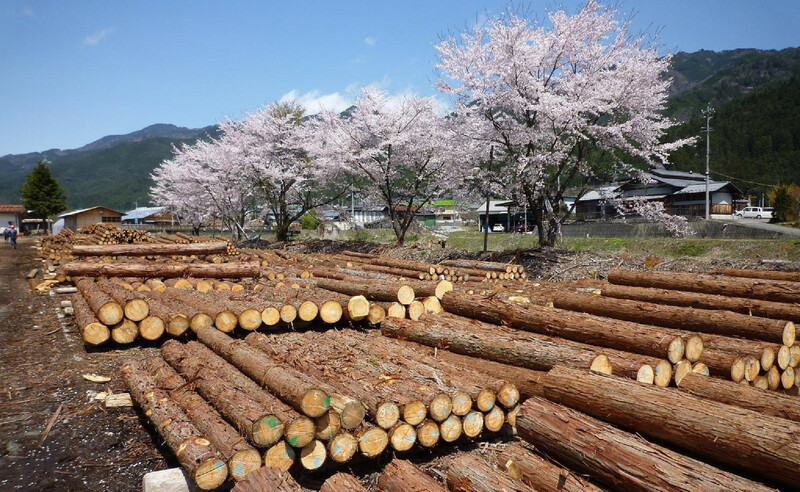 There is no overnight solution to problems of the Japanese forestry. It is neither Kashimo’s problem, nor is it the problem that can be solved only with efforts from the private sector. 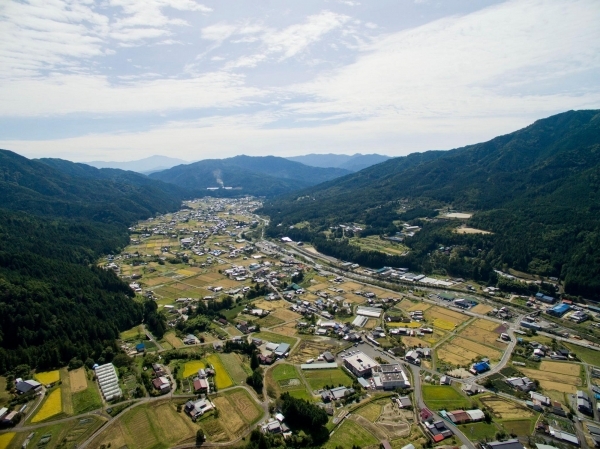 While Kashimo is only a small town with 3,000 people, we make continuous efforts for developments with “self-contained forestry,” because a mountain is there.